Available at Samson Awnings for a limited time, we are offering the brand new Ryterna Carport for a lower introductory price, with 25% off on the standard price. Ryterna are a company that produce world beating systems based in the picturesque city of Kaunas, in central Lithuania. 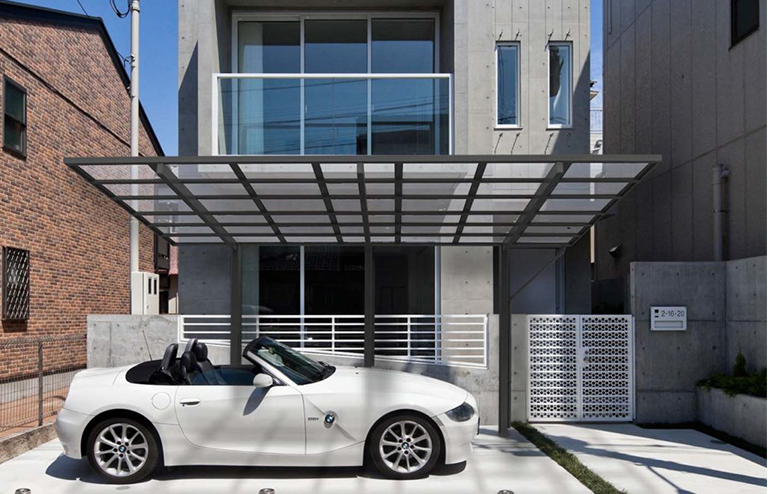 Normally specialising in entrance and garage doors, Ryterna have now taken their huge expertise to other markets including containers, mobile homes and now car ports. Ryterna Carports are made of purely the highest quality materials. The aluminium frames are reliable and sturdy, and the transparent polycarbonate roofing sheets ensure a high level of corrosion resistance, with an exceptionally long lifespan. The frame of the system itself is supported by three posts extending down from the lowest side of the sloped roof. This keeps the system highly stable yet never restrict usage or take up too much space underneath. 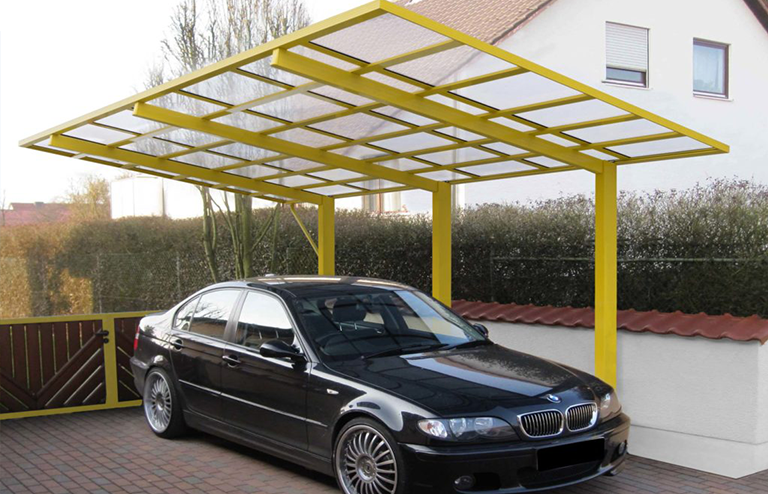 The Ryterna Carport has a maximum width of 3000mm, a maximum height of 2500, and a maximum length of 5400mm, and can withstand winds of up to 120 km/h. The frame itself can be powder coated and can be painted any RAL colour which allows you to correctly match the aesthetic style of your property, or even just make a bold statement. In-built guttering is incorporated into the frame, as are drainage systems. These help to channel rainwater away and distribute it toward the ground. This means that water won’t splash on your car except for in the absolute worst of all weather conditions. For more information on this Ryterna Carport Offer or our prices, please contact us.